Mid-Cities Human Resource Association - Cat Scratch Fever: Why should HR fear a cat's paw? Cat Scratch Fever: Why should HR fear a cat's paw? Why should HR fear a cat's paw? Our September program will feature a mock EEOC investigation of a company accused of discriminatory hiring practices. The scenario presented will lead us to a cat’s paw analysis and an assessment of the legal lines that various players crossed. The theory of the cat’s paw originated with a fable about a clever monkey who persuaded a cat to pull roasted chestnuts from a fire. The monkey enjoyed the roasted nuts while the cat was left nursing a burned paw that carried the evidence of the monkey’s sneaky influence. When one person exploits another to further their own agenda, they effectively turn the other person into their personal tool – or their very own “cat’s paw” – and legal liability can result. Influences can take many forms, including the sharing of personal biases and misinformation. Please make plans to join us and see how this type of manipulation can lead to legal and ethical pitfalls. John Hagan is the founder of Hagan Law Group. He is a trial lawyer Board Certified in Labor & Employment Law by the Texas Board of Legal Specialization and focuses primarily on employment law in the Firm's Allen office. 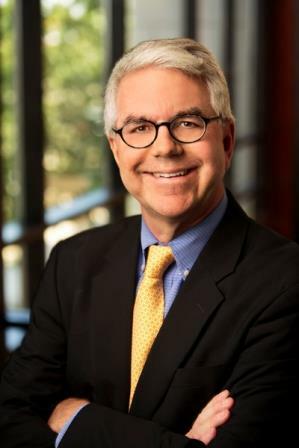 He advises and defends corporate employers, both large and small, on employment disputes, including clients who have nonsubscribed to the Texas Workers' Compensation Act and those with unionized employees. He advises and defends corporate clients on commercial and insurance litigation issues. Mr. Hagan also helps employers avoid and, if possible, resolve employment disputes before they ever reach litigation. He advises clients on a wide variety of employment issues arising under both state and federal law, including issues arising under applicable collective bargaining agreements. Mr. Hagan has considerable experience in both court and arbitration successfully defending employment claims. He has handled claims for discrimination, retaliation, wrongful discharge and sexual harassment under a variety of state and federal employment laws. Mr. Hagan was named as a Texas Super Lawyer (Thomson Reuters) for six years in a row, 2011 - 2016.